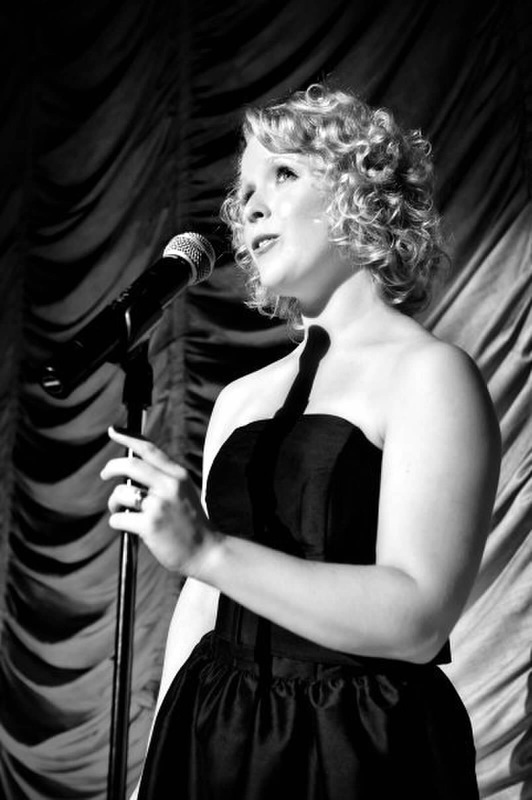 Suzanne Nicar has a song in her heart and a passion for making women feel good about themselves. 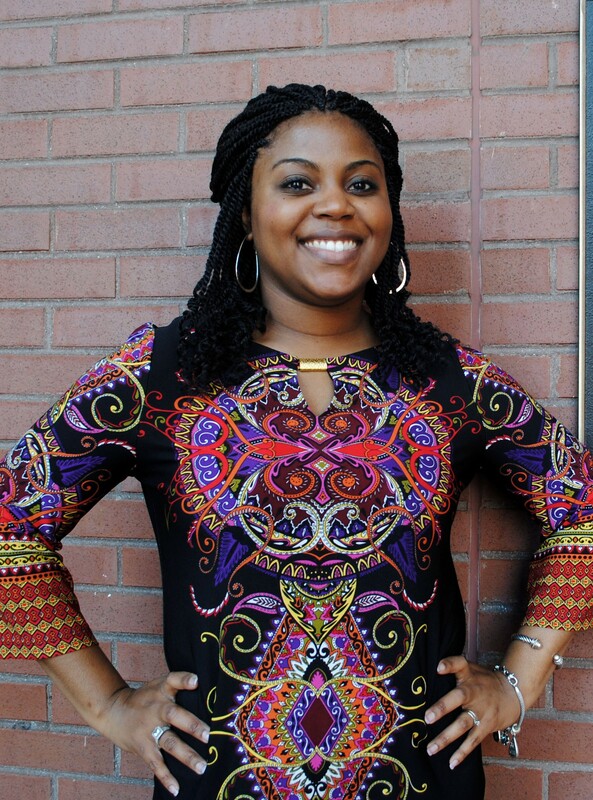 After leaving her job of seven years in hotel sales, she recently transitioned into a new role as a leasing consultant for Weinstein Properties in Richmond, Va. 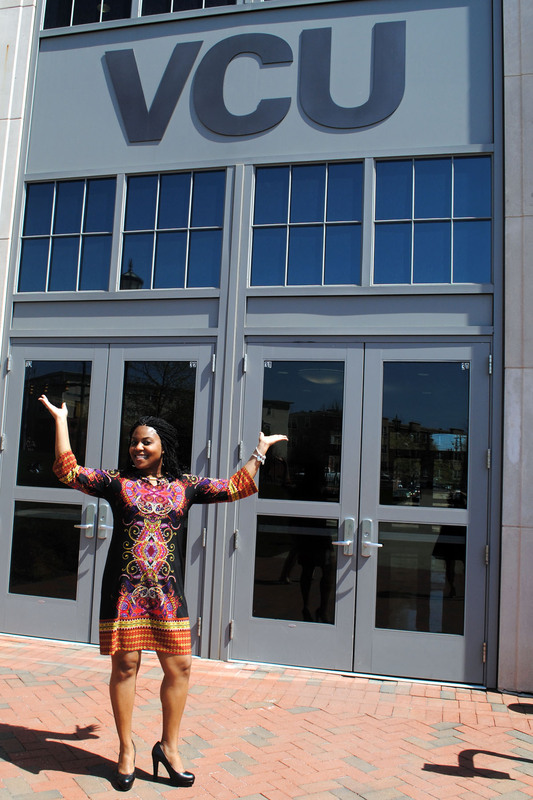 Though her day job involves showing prospective tenants around properties, she is also a mother of a two-year-old daughter, a regular in the Richmond theater circuit and a Mary Kay beauty consultant. I’ve known Suzanne for nearly 20 years. She grew up around the corner from my family and she’s been friends with my sister since elementary school. 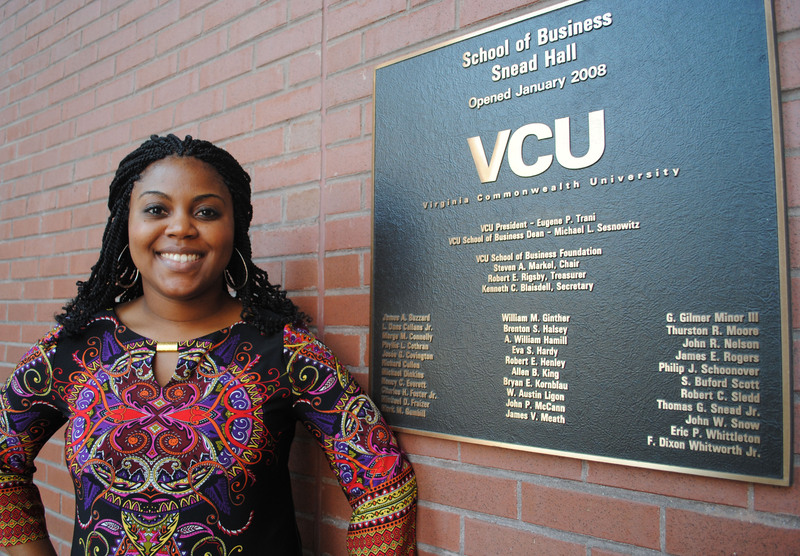 A few years ahead of me in school, she arrived at Virginia Commonwealth University two years before me. Suzanne graciously rescued me from dining hall food by cooking me dinner at her apartment and making me feel a little less like a country girl in the big city. Now that we’ve both grown up (a bit) and face the same challenges as working mothers, I caught up with her to find out how she makes it work. Q: What’s the best thing about being a mom? Watching my daughter grow into a little girl with her own thoughts and aspirations. Pick your battles! If you have a choice of doing dishes or cuddling for 20 minutes before your child goes to bed, cuddle. As hard as it is to let dishes and laundry pile up, those chores will always be there. I’m sure there will come a day when my daughter will be too cool to go to the park or won’t want to cuddle and watch a movie on a rainy Sunday afternoon. Also, make every day off count. Have a special count down or weekly tradition. When I pick my daughter up on Friday evenings she knows it’s movie night (popcorn included) and we’ve got “two days” together. Once upon a time, I wanted to be a recording artist. Right now, I’m just happy to be home to put my daughter to sleep every night. My ultimate dream would be to combine my professional experience with my passion for the arts. I would love to open a little hole in the wall theater or even café/cabaret. Q: You’re an accomplished actress in Richmond-area live theater. How do you balance that calling with your career and family? I was fortunate to be able to perform a lot before Addie was born. Now, it’s much harder to leave her to go rehearsals in the evenings. Although I don’t perform nearly as much as I used to, it’s a part of me that I’ve never been able to let go. I want my daughter to find something like that. Something that will call her no matter where she is in life and make her feel whole, like singing does for me. I want her to know that about me, and to someday soon see me on stage. Q: What’s in your purse/bag? Wallet, hand sanitizer, glasses, inhaler, Tylenol, baby wipes, lip gloss, and powder. 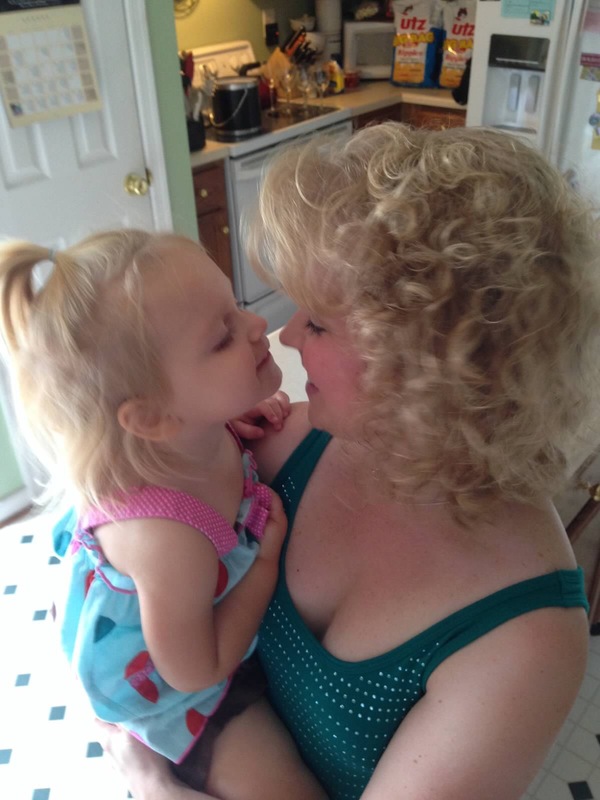 A lot of people (particularly employers) see being a working mom as a weakness. It’s not. 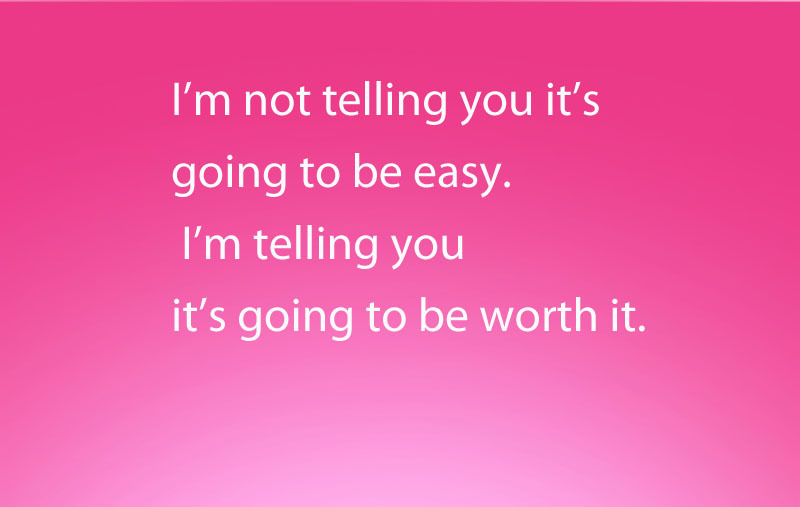 We work just as hard, if not harder. I think I became a better employee when I had a baby. All of a sudden, I had a finite amount of time at the office to get things done. If I had a deadline, I met that deadline because I had to leave by 4:30 p.m. to pick up my daughter. I was more productive in those 8-9 hours of work because NOTHING was going to keep me from picking up my daughter when I needed to. My mom. She worked while I was growing up and was still home to get me off the bus. She made every chorus concert, every field hockey game. Even when I was younger, I remember my mom telling me I could accomplish anything. She’s the first phone call I make when I need advice. Q: How do you “make it work”? My Husband. He’s my partner in not only in our marriage but as a parent. When I’m tired and can’t handle anymore, he’s always there to help. I’m lucky to have a husband who enjoys culinary exploration. He’s usually the grocery shopper and chef. But he’s also an “I’ll just see what inspires me at the Farmer’s Market” kind of guy. I need a plan. And a list. Also, you can’t buy Cheezits at the Farmer’s Market and nothing keeps my toddler calm during post-work errands than a handful of cheesy crackers. I needed an easy way to plan out our meals for the week. 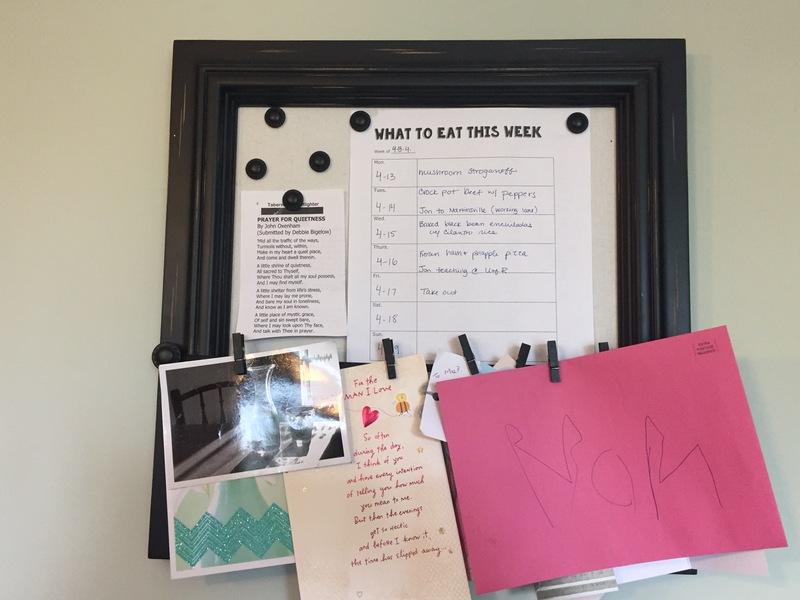 We keep things pretty loose around here and we rarely stick to the plan exactly as laid out, but having a few ideas helps me avoid the 3 p.m. panic at work when I realize I have no idea we are going to eat for dinner or what’s in our freezer. I like big mugs and I can not lie. Getting up early is kind of my thing. 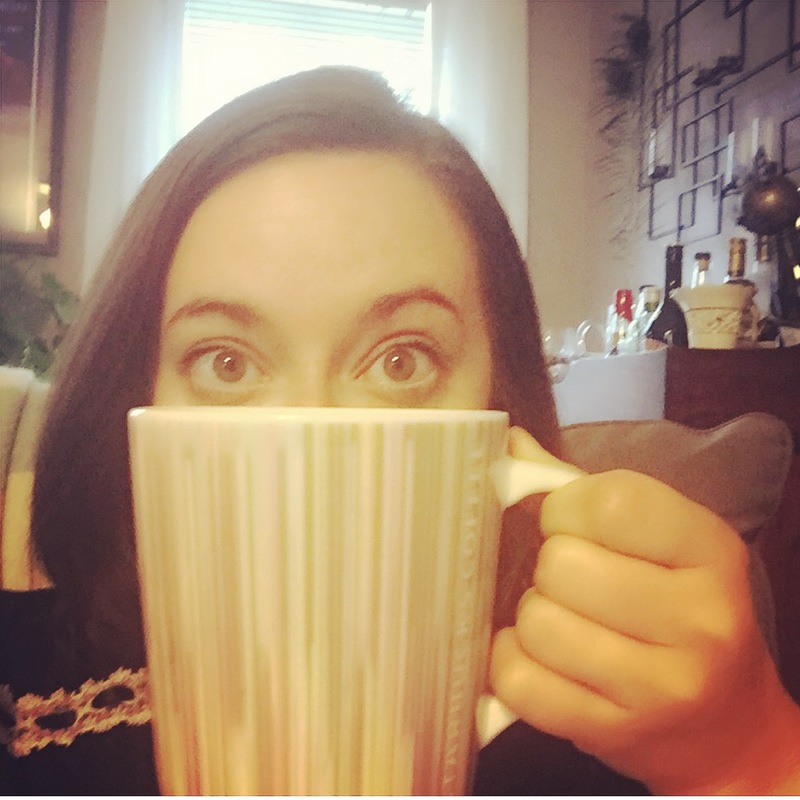 On Sunday mornings, I take a giant cup of coffee into the living room, tuck my feet under me on the couch and plan out our meals for the week. Some of my friends have Blue Apron and they RAVE about it. I think I’ll ask one of them to post a review of it on the blog for those of you considering it. 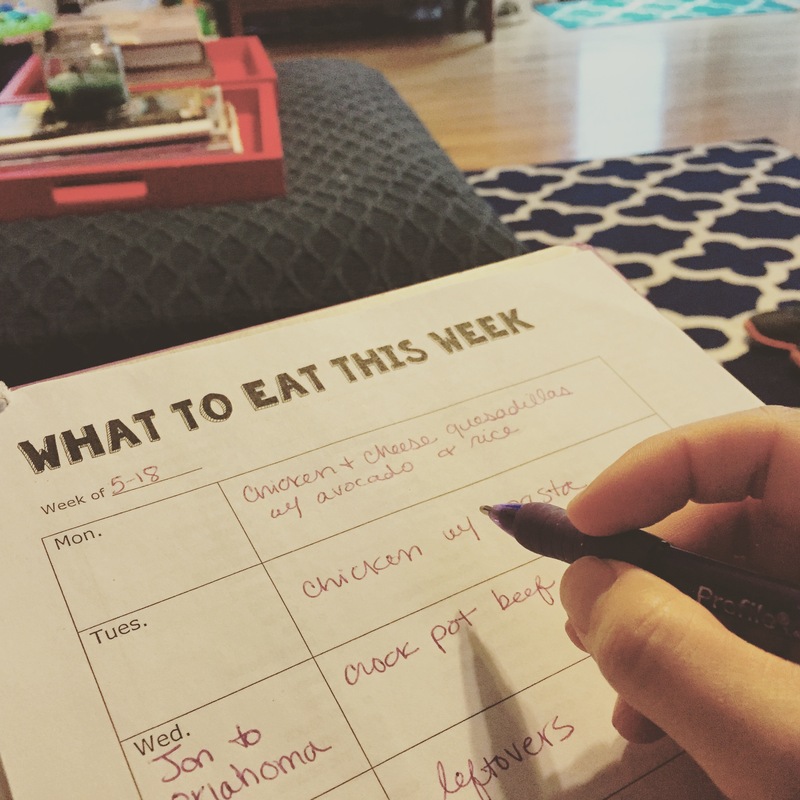 For now, I’m sharing the simple meal planning worksheet I threw together, in the hope that it may help you keep the crazy in check. It’s not fancy, but it gets the job done. I keep blank worksheets in a notebook in our family command center and when it’s filled in, I post it in our kitchen. Download it here: What to eat this week.